I took the leftover white part from the bottom of the dress and made this little clutch. I liked the ruffled gathered part from where I trimmed it off, so I kept that free when sewing the zipper in. 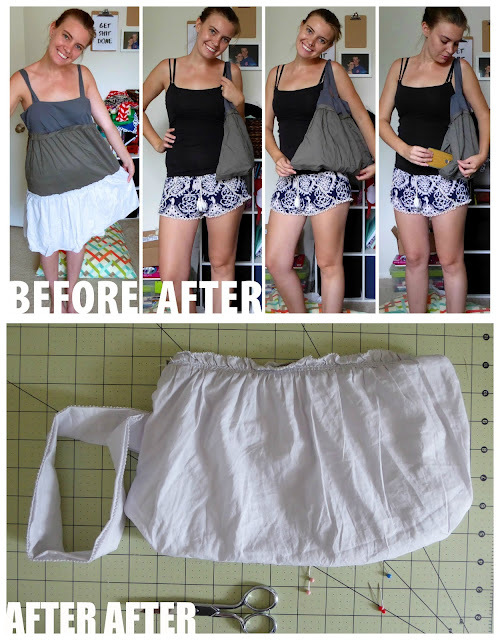 This project is SUPER easy and can be done with any fabric scraps and a zipper! A strap piece however long and wide you want it. Remember it will be folded in half lengthwise and in 3rd or 4ths width wise. When I cut the ruffled piece, I tried to keep the ruffles straight when measuring, hence the now bowed looking rectangle. This gives me the cute ruffled look and the slightly rounded bottom of the finished piece. Also, let’s talk about how wrinkly my fabric is ha! I know, I’m going to have to face the wrath of the sewing gods. This darn fabric was just so darn hard to get unwrinkled! Oh well, too bad, it worked out fine! 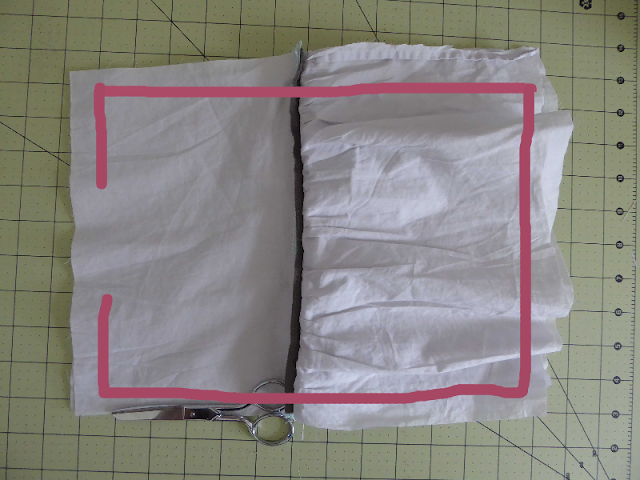 Basically, I laid the zipper face down on the right side of the lining fabric, lining up the top edges, then on top of that, in the opposite direction, laid the outer fabric lined up with the bottom edge. I hope that makes sense! Then, I sewed as close to the zipper from the top as I could with my zipper foot. This caused the lining fabric to fold in towards my outer fabric correctly, as well as attaching my outer fabric and leaving my pretty ruffle. I repeated this on both sides of the zipper. Speaking of the zipper, check this out! Anyways, back to the clutch. Now that I have both sides sewn onto the zipper, I’m done with all the hard stuff. Next, let’s make the strap. To do this, I took my strap piece and folded it in thirds. Normally you wouldn’t do this as it leaves a raw edge showing, however I had one finished edge that I thought was pretty and complimented my ruffled edge, so I just folded it in thirds and kept le edge. Once I sewed the strap using a straight stitch close to the left side fold and finished edge, i folded it in half long ways, awaiting it’s placement into the clutch itself. I hope you enjoyed this! Now time to go out with my new set! Thank you for this detailed post. It is great to see the stages of your bag making.